This song was released as a single in 1974 and made No.8 in the UK charts. It was mostly written in the studio in IBC Studios in Portland Place London in 1973 and credited to all four of the band and myself. I think the lyrics are quite 'country' and I was particularly pleased with the way the harmonica solo worked out. The B-side 'Lonely Night' is one of my favourite, almost forgotten, Quo songs. I reckon it would be great in the live set if they ever decided to resurrect it. 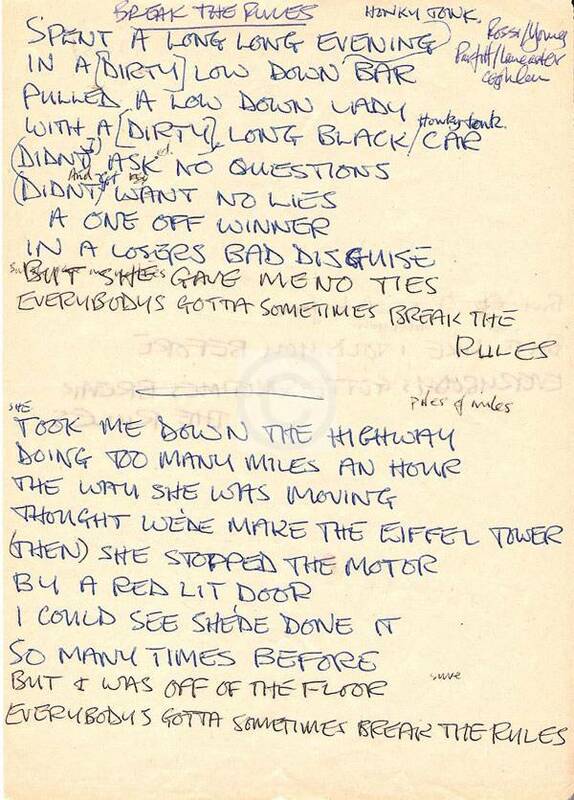 Lyrics to "Break The Rules"